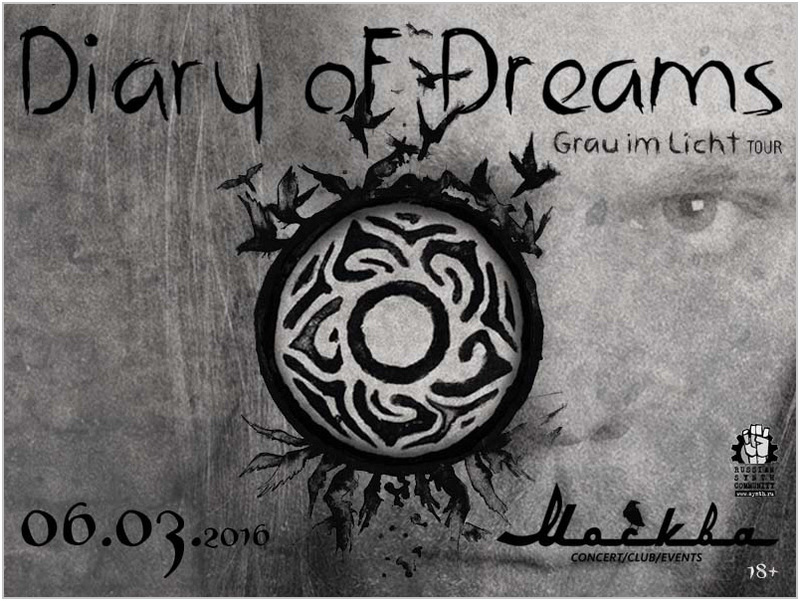 The stars of German dark-wave scene DIARY OF DREAMS are coming back to Russia with the new album «Grau im Licht» and classic hits! Diary Of Dreams is the band which is in vanguard of the dark scene for 20 years already. They record the most warm and most sad songs at the edge of electronic and guitars, gothic hymns with dance rhythms and stabbing ballads where guitars moan, kettledrums rock and synths agonize. The world of weird fantasies and emotional experiences of the unchallenged leader of the band Adrian Hates is the music webbed of all shades of darkness and wanderings through secluded corners of despair with unexpected healing effect at the end, because even the most impermeable barriers of universal sadness of Diary Of Dreams hide arcane light and hope for the better. The new album «Grau im Licht» is made in traditional form of a proclamation and protest against total madness that rules the world and bear a call to remember of humaneness and kindness. The first Sunday of the March 6th of March is a time to leave the load of cares at the venue doors and dive into the magic world to make a breathtaking journey across the pages of the Diary Of Dreams together with its writer!